The Costa Rica Marriott Hotel, housed in a Spanish-style hacienda within a 30-acre coffee plantation, is located in the Central Valley city of Heredia, about 10 minutes from the country's capital of San José. The hotel's design fuses colonial architecture with antique decor, while integrating modern amenities such as a golf driving range, tennis courts, and two outdoor swimming pools. The hotel's Kuö Spa is inspired by its Costa Rican landscape—majestic volcanoes, vibrant rain forests, and dense tropical foliage, along with treatments that use native elements such as coffee, ash, and thermal waters. Guests can sample Spanish tapas and sip fine wines at La Isabela restaurant and enjoy live music at the lobby bar. The 299 guest rooms offer an inviting retreat, with warm color palettes, balconies, and picturesque views. Meeting space totals nearly 13,000 square feet. 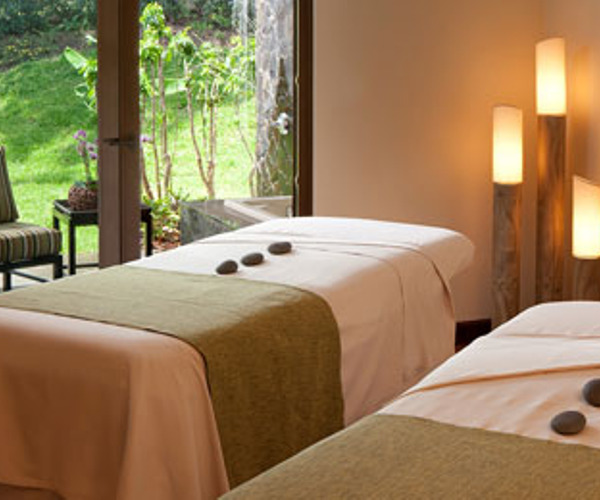 Tucked away on a tropical coffee plantation, the Kuö Spa Wellness and Journey immerses guests in its Costa Rican culture. Using extracts of coffee, volcanic ash, and other native ingredients, spa treatments are designed to send guests on a therapeutic journey to restore well-being. Seasonal spa menus include the 80-minute Journeys—among them Tierra, Aire, Agua, and Fuego—which use elements of thermal mineral water, algae, mud, and herbs. Massage, facials, and body treatments are also available. The 1,200-square-meter spa has eight treatment rooms, one dedicated to hydrotherapy rituals, as well as a full-service beauty salon. San José, with its nightlife, culture, and shops, is located within 10 minutes from the resort. Guests can explore the city's many museums and gardens or take in a dance or musical performance at the National Theater and Melico Salazar Theater. The Poás Volcano National Park and Arenal Volcano National Park are nearby, and day trips can be planned to Pueblo Antiguo theme park. The on-site fitness center features cardiovascular and strength training equipment; personal training is available for a fee. Guests can play tennis on one of two courts, take a dip in one of two swimming pools—both boasting mountain vistas—or unwind in the whirlpool. Golfers can practice their game on the on-site driving range or play a round on one of five area courses located within about a half hour from the property. Horseback riding, mountain biking, and river rafting are also available nearby. 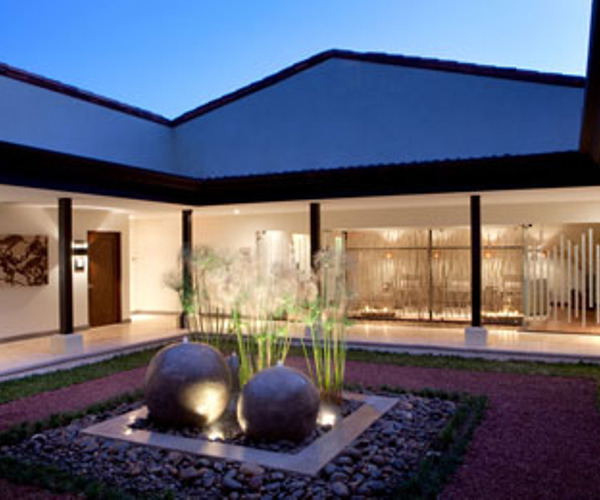 Costa Rica Marriott has 299 guest rooms, nine of them suites. Room interiors sport floor-to-ceiling windows, affording picturesque mountain, golf, or pool views, and amenities such as exclusive Marriott bedding, international cable TV, in-room safes, minibars, and coffeemakers are provided. For business travelers, there is high-speed Internet access and a work area with oversized desk and ergonomic chair. Guests reserving Executive Level rooms, Master Suites, and the one-bedroom Presidential Suite can enjoy access to the executive lounge, along with continental breakfast, complimentary pressing and business services, daily snacks, and more. La Isabela Tapas & Wine Cellar, a casual dinner restaurant, serves Spanish tapas, which guests can complement with a selection from the extensive wine list. Antigua restaurant and lounge, open daily, offers an international menu, with an emphasis on Latin American cuisine. Vegetarian options are available at both restaurants. Guests can visit Casa del Café for a quick bite and gourmet Costa Rica coffee; at night, cocktails and live music can be enjoyed at La Castilla lobby bar.